Yet another tragic school shooting has occurred, this time in Nevada. 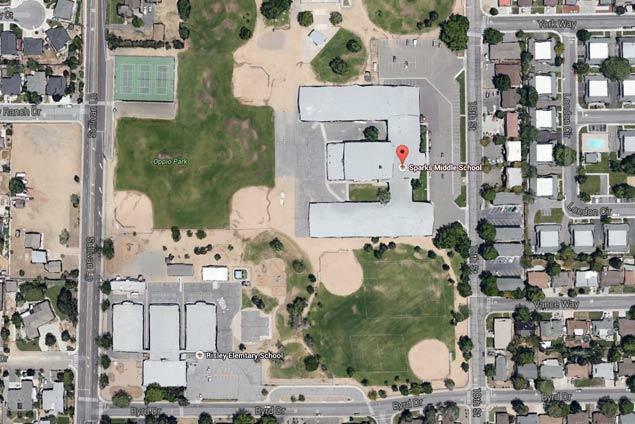 The shooting occurred early Monday morning at Sparks Middle School in Sparks, Nevada, just outside of Reno. It has been reported that two people have died and two young boys are in critical condition at Renown Reginal Medical Center, according to a spokesperson from the hospital. One of the deceased is identified as the shooter, a student from the middle school. The other is reported to be a teacher who, eyewitnesses say, noticed the student with the gun and attempted to intervene. He was shot by the suspect. The identities of the injured victims is being withheld for the time being though one unverified source states that one of the children is 12-years-old. Students from the school have been evacuated and taken to a nearby school where they will meet their parents.